Over the last few weeks, London and Paris were the wonderful host cities for the European leg of our “Innovation in the Nation” roadshow. 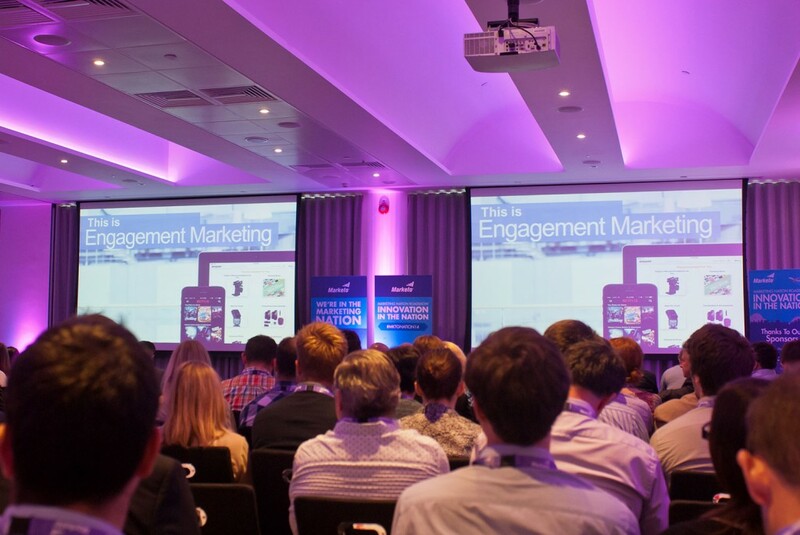 Attracting almost 600 marketers, our whirlwind events had packed agendas and incredible engagement from the attendees. 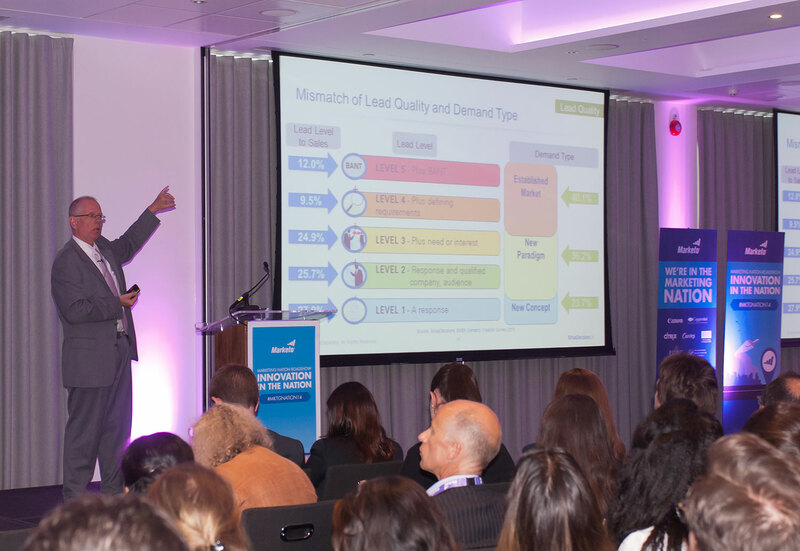 With a keynote from our own CMO, Sanjay Dholakia and an eye-opening session from Julian Archer of SiriusDecisions, the roadshows also showcased customer case studies, product roadmap overviews and a standout session on the importance of creativity. Both days kicked-off with a keynote about the new rules of marketing from Sanjay. During the keynote, Sanjay took attendees on a journey, describing the five new rules marketers need to leverage in order to succeed in the new world of customer empowerment. Marketing by these rules, explained Sanjay, is what we define as engagement marketing. One of the most anticipated sessions was delivered by Julian Archer, Research Director from Sirius Decisions. Julian delivered a data-driven, insight-rich presentation on The State of Demand Creation Across Western Europe, which had the audience scribbling frantically (don’t worry, you can request a copy of the deck here)! Julian shared compelling data and practical examples about sales/marketing alignment, multi-touch analysis, and lead qualification criteria. While there were innumerable insights and takeaways during the session, the unanimous #1 takeaway was that marketers are hungry to take advantage of the quality insights data and analysis provide. Creativity involves two processes: thinking and producing. Thinking without doing is just being imaginative. Everyone can be creative but only a few choose to be. Curiousity is a vital part of creativity – we should embrace it at all points. Inspiration is everywhere and comes in many, many forms. 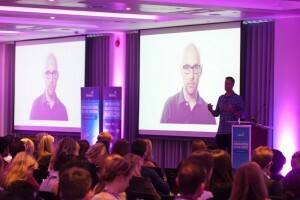 Darren’s talk demonstrated that even though marketers are investing in improving their ability to measure and judge their marketing based on data, the art of creativity is still inspiring and sits at the very heart of the marketers psyche. Innovation is undeniably important (80% of marketers saying it was important with 44% of them saying it was very important). A deep understanding of your customers and prospects is the #1 driver of marketing innovation, with 46% of respondents saying it precedes and drives things like risk-taking and executive backing. Consumer brands are still generally perceived as being more innovative than B2B brands. If marketers could innovate freely in any area, they would prioritize three things: market research and insight, marketing automation and technology, and multi-channel integrated campaigns. The urge to innovate is being constrained. Only 1 in 10 (10%) say that a great deal of their organizations marketing is innovative. The ‘average’ marketer finds her own innovation blocked by a risk averse culture (77% describe their company culture in this way). That’s a wrap! If you were at the roadshows, we would love to hear from you – please leave your comments below. 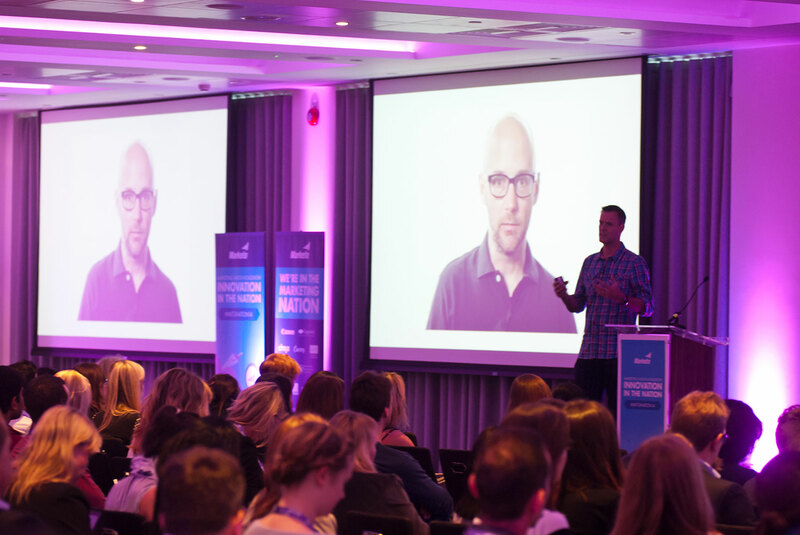 But the last word comes from our attendees in this video – check it out!